AECFUN Acrylic bending machine,also called Perspex bending machine or plastic plate bending machine, it can soften and bend acrylic, plexiglass, PVC, PC etc.. by heating. In daily life, we can see the application of acrylic everywhere, especially in the application of advertising, such as light boxes, signs, exhibition racks and so on. Acrylic is widely used, also brought us a lot of convenience. 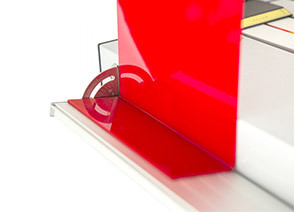 Our product acrylic bending machine adopted far-infrared heating technology, only need one minute to preheat. Sheet thickness is from 1-10mm. Users can make their own products by adjusting the length and Angle of positioning parts according to their own needs. Temperature is adjustable from 0-600℃. 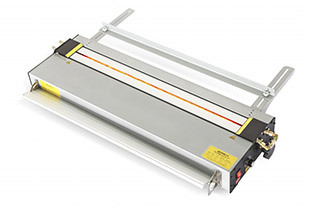 It only takes 15 seconds to bend a 3mm thickness sheet.Heating gap width is adjustable from 0-20mm. Users can adjust the gap width according to different thickness sheet. And it adopted circulating water cooling system, ensure fast cooling. With the popularity of mobile payment such as alipay and WeChat payment, more and more people choose to take out their mobile and complete payment when they consume. This payment method is convenient and fast, no need to prepare change. 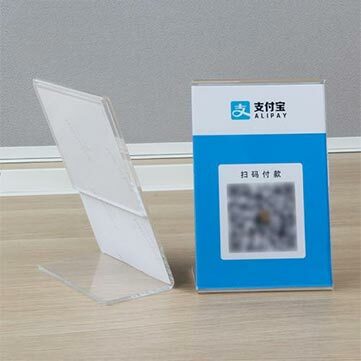 The QR code payment cards that the merchants provide to the customers are usually produced in batches by the acrylic bending machine. 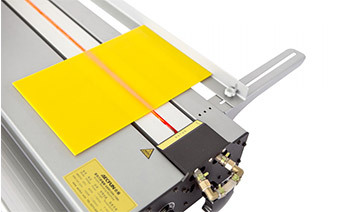 Let's talk about how to make the QR code payment card with acrylic bending machine. The first one is to directly print the QR code on the acrylic plate through the UV printer, and then soften the 2-3 cm below the picture through the acrylic bending machine, and adjust the angle positioning member to about 60°to cool and shape. The second one is to directly bend the acrylic sheet by two bends, one directly folded in half, one bend to about 60°, and then insert the printed QR code paper into it. 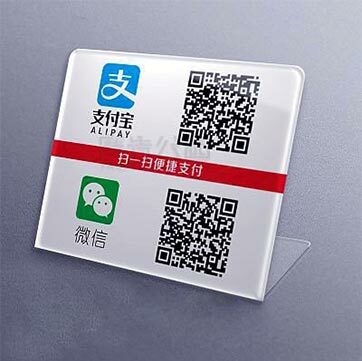 The production process of the QR code payment card is simple and easy to learn, and an acrylic bending machine can easily realize mass production.